Your dream backyard is your oasis to unwind after a long day — or where you host parties and entertain guests. While you want to watch your budget, you don’t want to cut corners if it’s going to show. Lots of homeowners want to know if they can trust a cheap pergola to accent their otherwise upscale backyard. 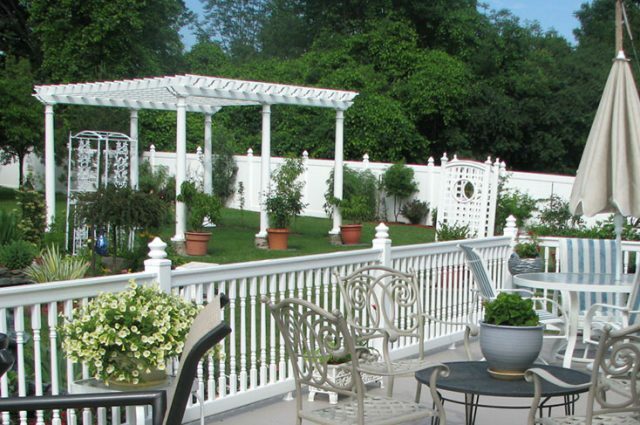 At Garbrella, we specialize in building luxury vinyl pergolas kits for homes all across the country. We’ve seen — and replaced — enough budget pergolas to be able to tell you that, while the price might be amazing, there are a lot of downsides you NEED to be aware of before you buy. Read our latest blog for the insider answers on those tempting ultra-cheap pergolas for sale. Sometimes, the old adages still prove true. In the case of pergolas and outdoor decor, you DO get what you pay for. Since budget pergolas are mass produced in factories rather than custom built by skilled craftsmen, the pergola quality, the style and so much suffers for it. 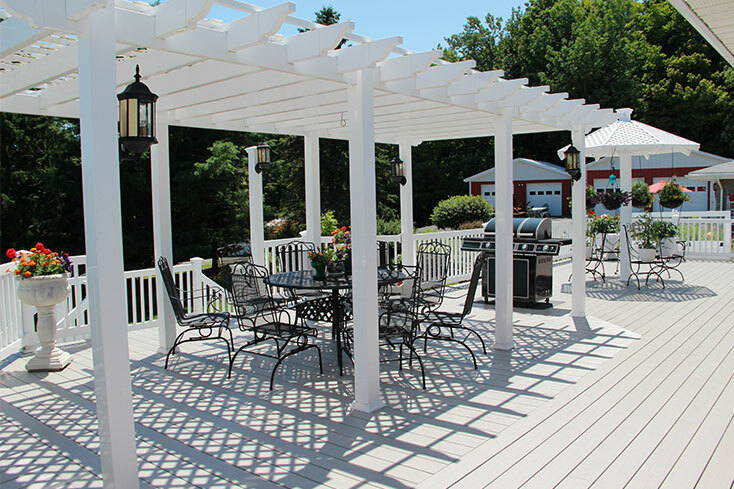 Our luxury pergolas are built out of hardwood with an exterior of weather-impervious vinyl. Cheap pergolas tend to be built from either budget-priced plain lumber or metal — both of which take a beating from the elements. Most inexpensive wood pergolas often start rotting after a few years outside, while the metal options can start to rust even sooner. 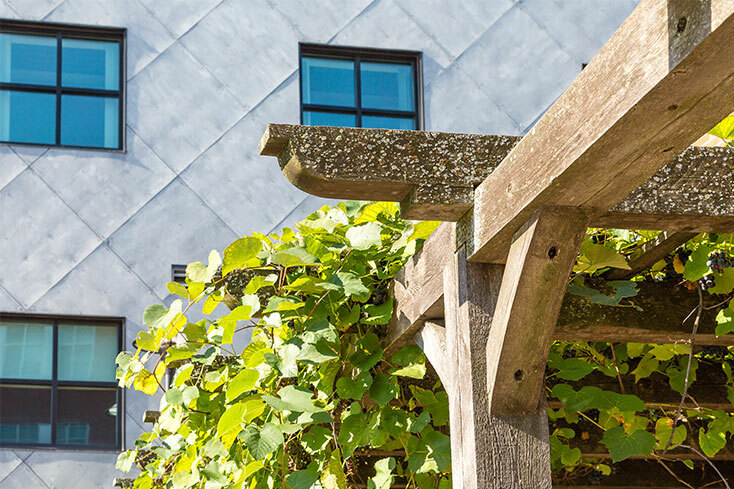 Although you’ll like the price of a budget pergola upfront — you won’t love paying to replace it just a few years later. This is one of the biggest downsides of hardware store pergolas — learn more about the difference between Amish pergolas vs. hardware store pergolas. Another reason that we build using vinyl is that it looks gorgeous, even decades later. Not only does it create a gorgeous modern look, but vinyl is easy to keep sparkling clean. However, those budget pergola materials like wood and metal show their age in the worst ways possible. Nothing undercuts your stunning backyard décor like a giant rusty pergola bolted into your beautiful composite deck. Another way that some retailers are able to offer super cheap pergolas for sale is that they only stock small sizes. While small pergolas are a fantastic choice for some designs, most people generally like larger sizes that can accommodate a table and multiple chairs. If you insist on buying a budget pergola, you may end up with a piece too small for your needs. 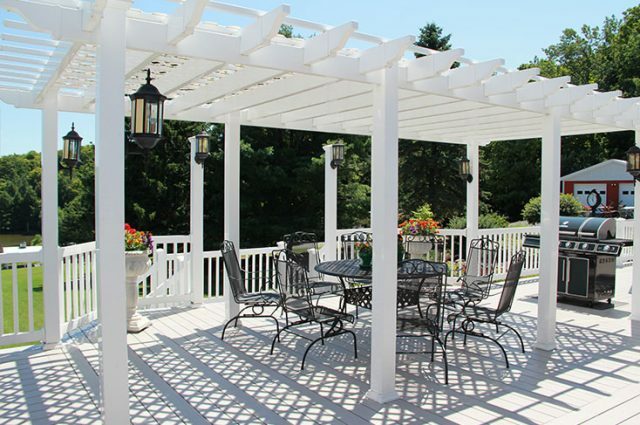 We often hear homeowners say that if they spent a little more money, they’d have gotten a lot more pergola for it. While you might not be auditioning your home for a spot on HGTV, you still want every aspect of your deck, porch, or outdoor living space to look beautiful and to do its job. Cheaper pergolas won’t look quite as flawless because of the material and because of issues from the mass-produced building methods. In addition, a handcrafted vinyl pergola will be rock solid, while cheap pergolas might not be strong to withstand strong winds. When you buy a cheap pergola from a hardware store, you get what they have, no questions and no special requests. And that’s a shame. The right pergola should match the rest of your design and should be tailored to your individual needs. Let’s say you want built-in pergola lighting, a custom shape, or a canopy — you’re out of luck when you’re buying on the cheap. However, since Garbrella builds your pergola custom for you, we’re happy to make that happen. While the initial purchase price might be a little higher than some ultra-inexpensive pergola kits, you get a superior product and it’ll last a lifetime. Start shopping for your luxury Garbrella pergola today! No matter where you live, you won’t need to settle for a cheap pergola. At Garbrella, we ship our luxury vinyl pergolas nationwide — from the east coast all the way to Hawaii! 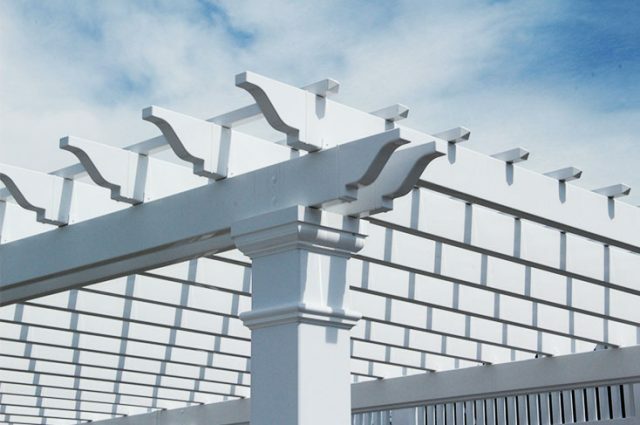 Your Garbrella pergola will be custom built by skilled Amish craftsmen to ensure a long lifespan and a stunning style. We often recommend our new customers request a pergola sample kit to see and feel the difference in every single Garbrella piece. 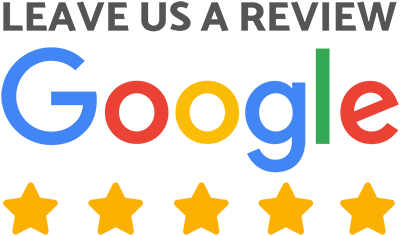 Contact us to start the conversation and to receive your pergola sample kit. 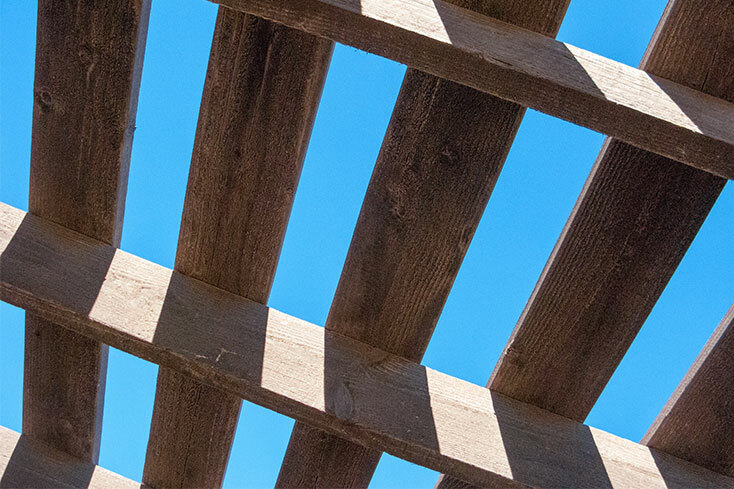 See and feel the difference that makes us the nation’s top pergola dealer.